Socialite Vera Sidika is switching things up yet again and this time she has joined the music industry. The socialite has released her new song dubbed Nalia, in which she gives a detailed look of what transpired between her and her estranged lover Otile Brown. 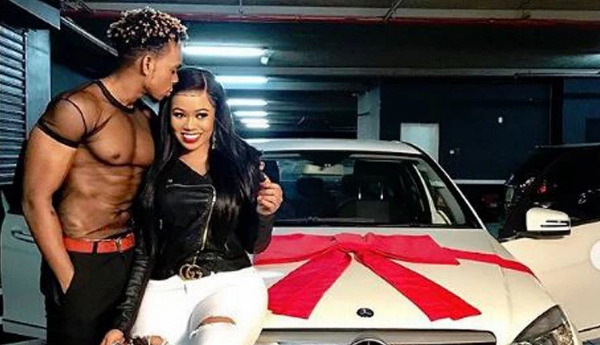 Vera’s music video features Wema Sepetus’ former lover Calisah, who is seen posing next to a white Mercedes Benz which she had claimed she bought for him earlier. The controversial socialite explains in the song how she gave her all in vain, just to keep her lover satisfied, including giving him money to help him out in times of need. “Chochote nilikupa bila hofu support one way, kuhusu pesa ukiomba nilihisi zaidi ya kupea,” she croons before chorusing it up with nalia nalia.